When one of your best friend calls from 520 miles away in need of pizza party favors for her kindergarteners first class party, you have to help. 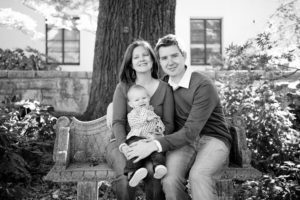 Did I mention the party was less than a week away, and she has another little one to keep busy?! Amazon Prime to the rescue! I immediately thought it would be cute to do little rolling pins with play doh. Something the kids could use at home to help build muscles in their hands for all of that letter writing practice they are doing, however I didn’t want the kids to be able to open the pizza party favors at school. In case the teacher didn’t appreciate it. With that in mind, I decided to make a tag that would cover the top of the ziploc bag. 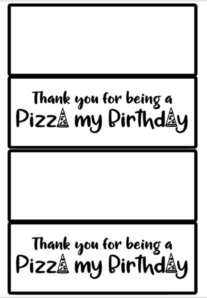 You can download it here: pizza my birthday printable. Fill the bags, and print the bag topper, cut them out, and staple 2 staples to the top of the bag. The pizza party favor tags pizza my birthday printable file turned out super cute and is available for download here! You can print 2 on a page in any color you like. I recommend using a thicker cardstock so they hold up better, but plain paper is fine too! Look at her finished product! So cute! She said all the kids in the class loved them! 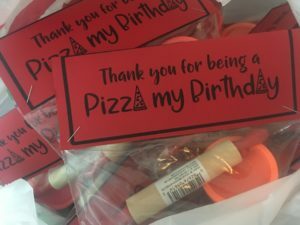 I hope this helps some of you last minute moms put together quick and easy pizza party favors your kids will love! Don’t forget, if you don’t have Amazon Prime yet, you can sign up for an Amazon Prime free trial, and get free shipping on everything you order. 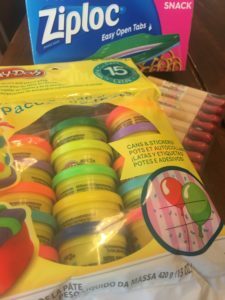 I have saved hundreds of dollars in shipping fees from everything we have ordered over the years, not to mention all the money I saved not buying toys and candy in the grocery store check out line while shopping with my kiddo. 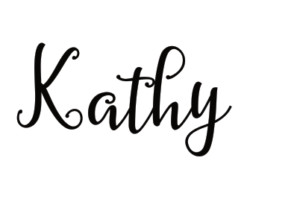 Disclaimer: The links in this blog pay me a small commission that I in turn use to create more fun, inspiring, crafty ideas for all of you. Thanks for your support!